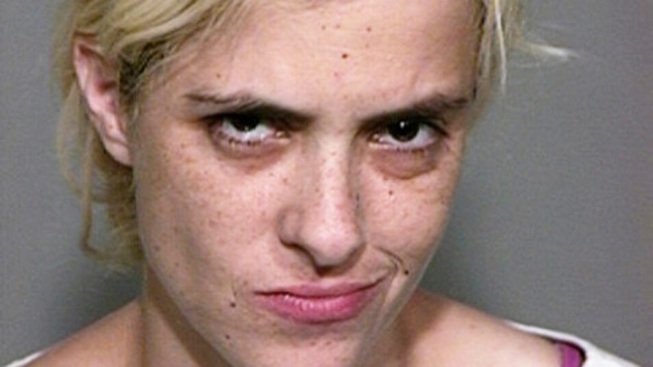 Samantha Ronson poses for a mug shot August 1, 2011 in Barstow, California after getting pulled over and arrested for DUI. We hope Samantha Ronson is friendly with some of the Lindsay Lohan's lawyers. The 33 year-old DJ and former girlfriend of troubled actress Lohan has been charged with two misdemeanor counts of driving under the influence stemming from her arrest on August 1. The maximum sentence for these charges is six months in prison and a $1,000 fine. Ronson was pulled over returning to California from Nevada following a Las Vegas gig for going 89 mph in a 70 mph zone. The police then subjected her to a DUI test and found that her blood alcohol level was above .08. The police were quoted as saying that Ronson was cooperative during her arrest.